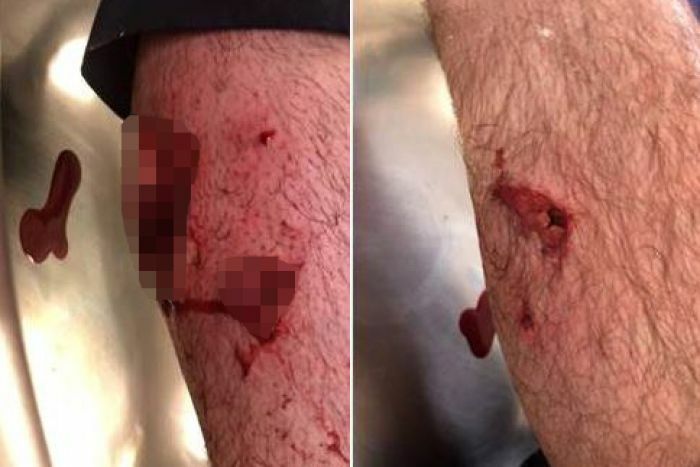 A police officer is being treated for serious injuries after he was attacked by a dog while trying to arrest a knife-wielding man in the eastern Perth suburb of Belmont. Police officers were called to a Bulong Avenue home yesterday morning after receiving calls about a man making threats with a knife. The officers were walking up to the house when the man allegedly tried to ride into them on his motorcycle. “Before the man was able to accelerate on the motorcycle, an officer pulled the man from the motorcycle causing them both to fall onto the driveway,” police said in a statement. A police spokeswoman said the officer was taken to Royal Perth Hospital in a serious condition and was expected to undergo surgery on the wound, possibly today. A 43-year-old man from Redcliffe has been charged with obstruction and two counts of breaching bail. He is due to appear before the Perth Magistrates Court later. The dog has been impounded and its fate is under review.